According to John Fitzpatrick, Chevrolet Camaro marketing manager, the success can be attributed to the Camaro’s appeal to both loyal fans, and those new to the brand. “When the new Camaro went on sale, it was predominantly bought by Chevrolet owners, or Camaro enthusiasts who already owned a previous-generation. Today, about half of 2010 Camaro buyers are new to Chevrolet,” said Fitzpatrick. Camaro sales outside the U.S. are expected to grow significantly, as Chevrolet increases production to accommodate exports for Chevrolet’s biggest markets, including Brazil, China, Russia, South Korea. 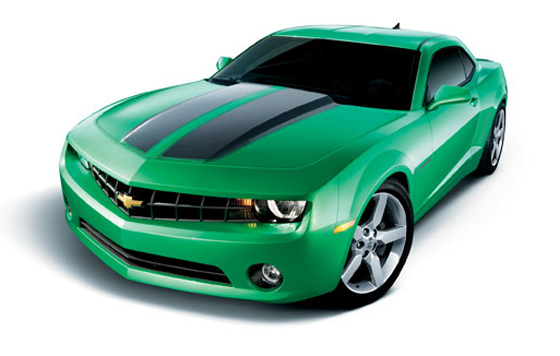 In Europe, the Camaro coupe and convertible will be added to the Chevrolet product line-up in spring 2011.